Shopping for back-to-school items usually consists of calculators, pens, notebooks, and if your family is in the upper echelon of society — perhaps an Ipad. 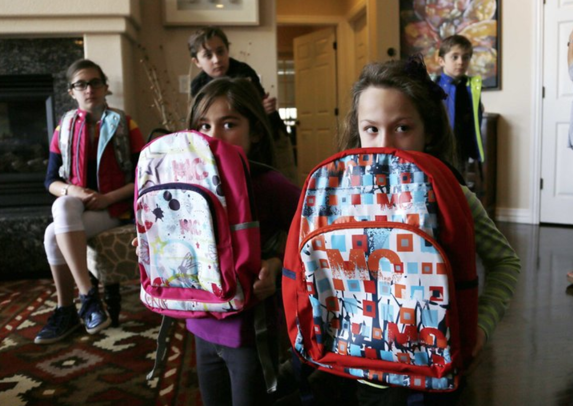 But with a nation in chaos and desperate to avoid another school shooting, it has become increasingly common for teachers and students, and even some parents to now demand bulletproof backpacks. Right before our eyes, the nation is radically shifting as the pain from recent school shootings have swayed the cognitive thought process of many parents to accept militarization within education facilities. Next thing you will know, the minivan is swapped out with an Audi Q5 Security (Audi’s first armored vehicle on a production line) and the children are all wearing kevlar infused backpacks similar to the tactical gear worn by US soldiers. In the last 18 years, approximately 25 percent of all of the 160 mass shooting incidents took place in schools, according to the FBI. In response, school districts have taken drastic measures towards gun control on campuses, including surveillance cameras, security locks, metal detectors, bullet resistant windows, and even implementing resource officers during school hours. After the horrific shooting of 17 kids at Marjory Stoneman Douglas High School in February 2018, the civilian defense industry as a whole experienced an influx of sales from school districts and worried parents. 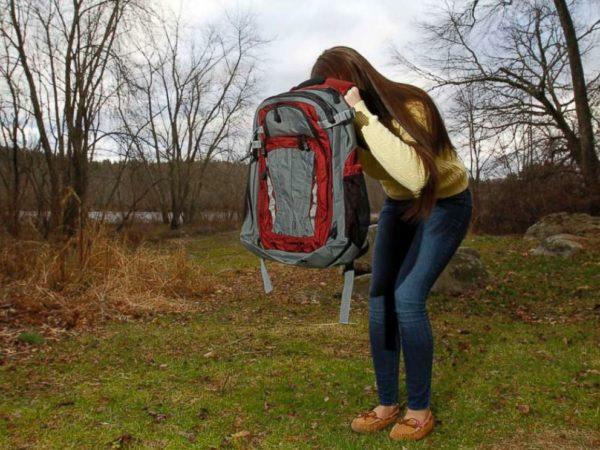 The hottest item on the block is the bulletproof backpack and there are several companies that have reported booming sales. Florida-based Guard Dog Security specializes in non-lethal personal security and self-defense products designed to protect people from small arms fire. Guard Dog President Yasir Sheikh told Fortune, “demand has definitely gone up” in recent years, and explained that sales often increase after a school or mass shooting. Sheikh added that the company has seen increased sales from parents buying bulletproof backpacks for the 2018 school year. 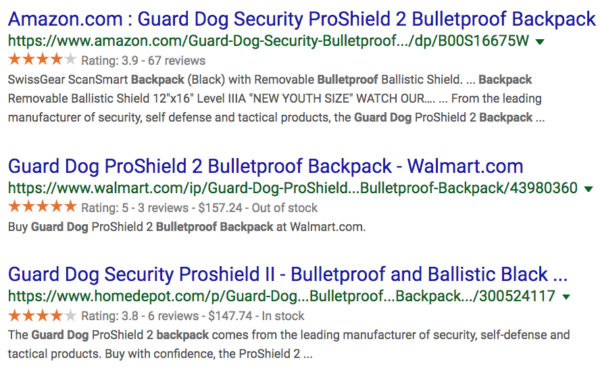 Guard Dog products recently went mainstream, which it seems as the company was able to attract a significant buyer that enabled them to launch their products in major retailers including Home Depot, Office Depot, Walmart, Amazon, and even Bed Bath & Beyond. 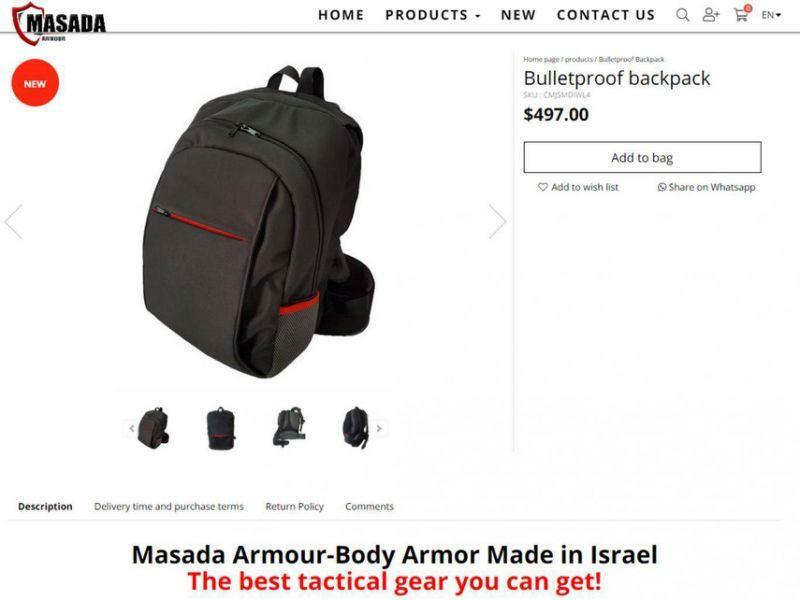 Masada Armor, based in the northern Israeli town of Julis, has attracted hundreds of American buyers - demanding bulletproof schoolbags in the wake of the South Florida shooting. “We designed a bullet-proof backpack at the request of our distributors in the United States after the huge trauma caused by the February shooting in Florida,” Snir Koren, CEO of Masada Armor, told AFP on Thursday. “Since then, orders from the United States have been coming in,” Koren said in Hebrew. “In two months we have sold hundreds and are gearing up to increase production rates to 500 units per month,” he said, adding that the basic model, which weighs around three kilograms (six pounds), protects against 9mm pistol fire and sells for USD 500. For an extra USD 200, there is an improved version that protects against high-velocity rifles such as the AR-15 and the M-16 and Kalashnikov assault rifles. Media Matters accused Maria Bartiromo of glamorizing bulletproof backpacks and clothing for kids in the back-to-school segment. With the 2018 school year about to begin, it seems as the hottest item on many back-to-school wish lists are bulletproof backpacks. Great job America, the militaziation of education facilities is almost complete.